Your baby could slide into toddler age at any time from nine months to 18 months (maybe later) It’s the time when they find their legs, and you rediscover yours. I’ve written previously how I find toddler travel the worst age to travel with kids. From when they start to find their legs to about the age of three when they finally settle into them, you’re going to be on hyper alert and constantly chasing them. Toddler stage wiped me out, but I was not some person who could stay sane foregoing the adventures either to keep them home. Over the next couple of weeks, we’ll be sharing posts on the pros and cons of traveling with kids at various ages. 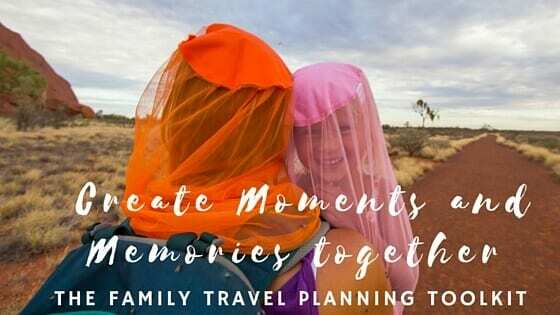 We believe parenting is hard no matter the age, nor where you are, so you might as well travel and fill up the moments in between with meaningful memories. 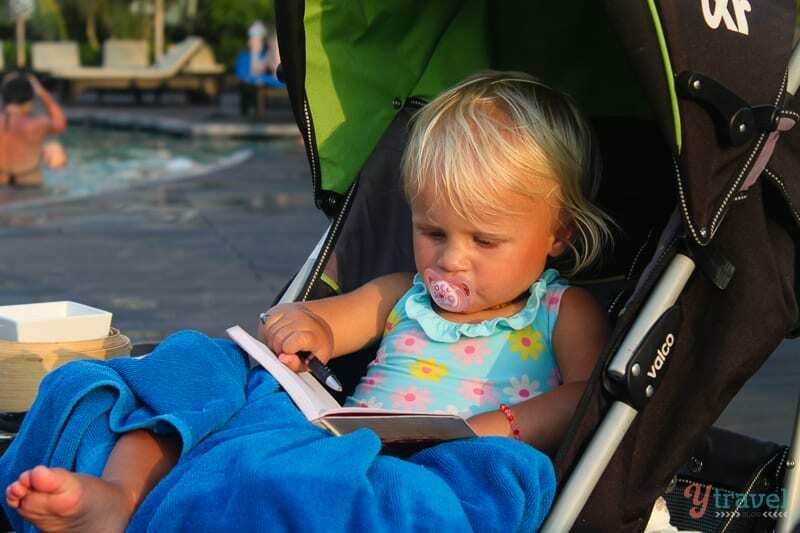 We have a lot of experience with toddler travel – more so than any age. We did several trips in the US, Puerto Rico, and Australia when Kalyra was a toddler. We travelled with Savannah to Thailand not long after she found her legs and we started our Australian road trip when she was two and finished when she was three and a half. That’s an intense amount of time to spend with a transitioning toddler. I’ve just realised how insane I am! 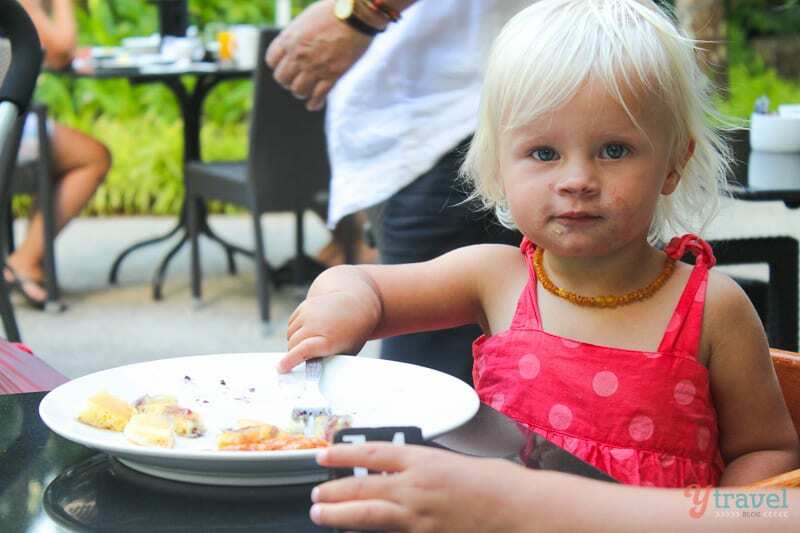 We soon ditched our plans to travel South East Asia when we took a two-week holiday to Thailand when Savannah was 17 months. Travelling with her in cars and mini-vans that had no seat belts was a nightmare! She would not keep still and wanted to climb over all the seats and run around. On the chaotic streets of Bangkok keeping an eye on her was exhausting, and our boat cruise was a nightmare with the lack of child safety requirements. We decided to evaluate and consider what would be the least stressful adventure, considering the toddler age – hello 18-month road trip around Australia. Although 15 minutes after leaving for it, Savannah was trying to climb out of her car seat whilst throwing vegemite sandwiches at my head. Again, we feel you can’t beat a road trip during the toddler ages. 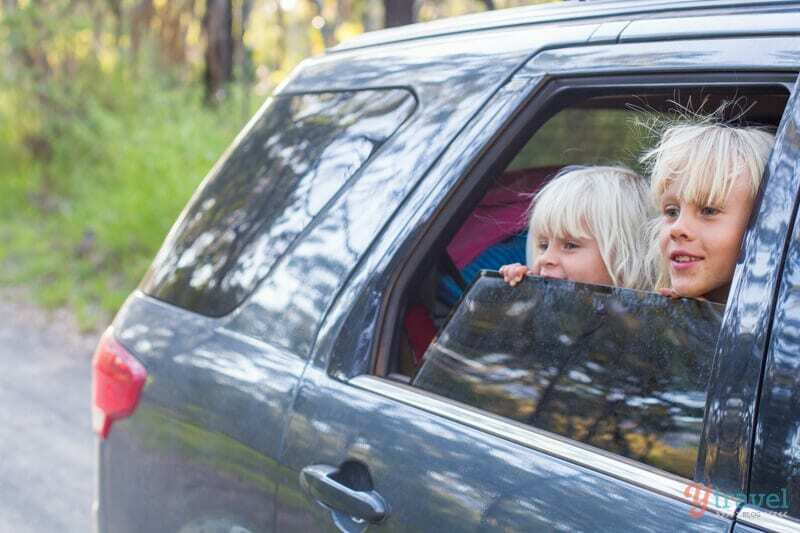 Even if your child isn’t a great car traveller, you can make it work. Savannah soon adapted to the car and learned to love the experience. She still gets car sick every now and then, especially on windy roads, but we can pick the signs now, prepare for it better, and can easily pull over. It’s much harder to do that on a plane. The flexibility of road trips, the slower travel, and the ability to carry more luggage makes this a winner for toddler travel. As you’ll see from our family travel experts, the biggest con to toddler travel is flights! So travel without them. What can you do without? Perhaps you can rent car seats or prams at special attractions. It might be a good idea to travel once they’re toilet trained. You can get away with smaller amounts of clothes and toys – they’ll be more than happy to interact with the world around them, including sticks, stones, and cutlery. 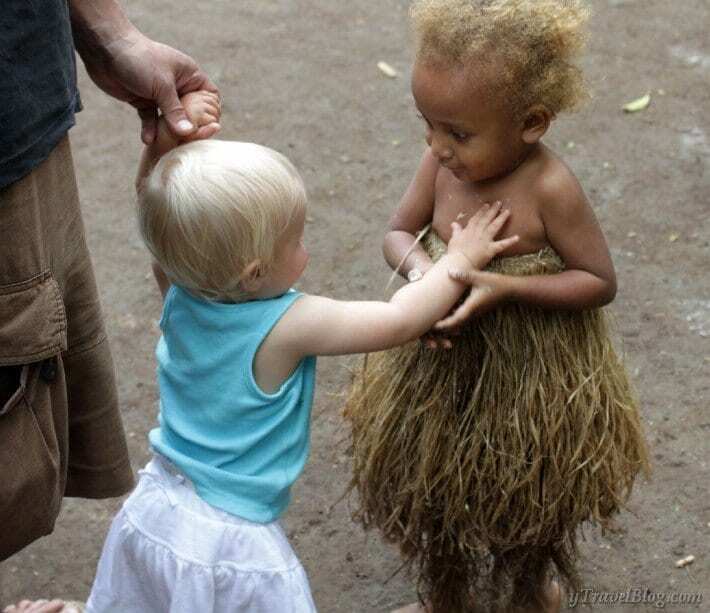 A toddler still interacts with the world and other people with such pure innocence. It humbles you and helps you believe in magic again. You’ll delight in their curiosity, their playfulness, their friendliness, and willingness to explore. Hiking is much easier with toddlers. You can throw them in a hiking backpack (our favourite is here) and still have a fabulous time. The older toddlers will be able to even take short hikes with you. Savannah amazed us with her mammoth barefoot 4km return walk to the Pinnacles in Grampians National Park. 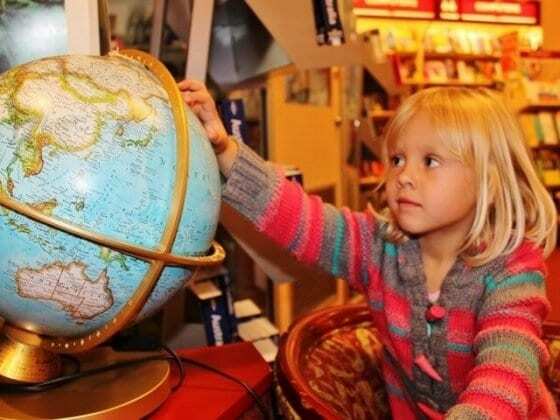 Toddler travel can still be cheap as they’ll often still get free admission for many places. Toddlers get used to travelling. Starting them young means they’ll adapt and grow into better travellers. Both our girls are excellent travellers and very independent (see video below). 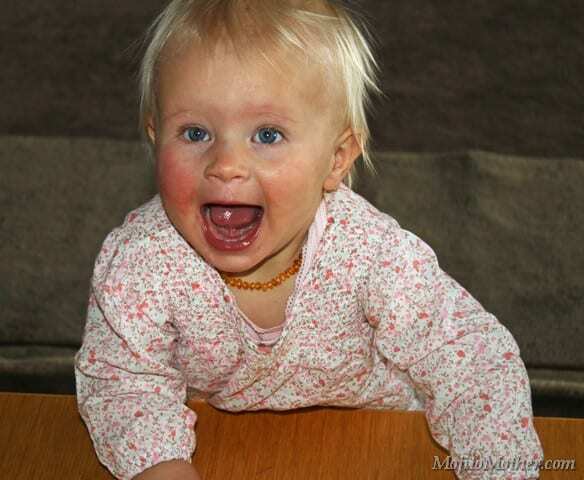 Overcoming the challenges through the toddler stages will help you later on. Toddlers grow so quickly. It’s joyful to create such precious memories with them through travel. I feel very close to my children and like I know them so well. You get so many cuddles and toddler love. Plus, if they have siblings, it’s a beautiful bonding experience. Toddler stage is full of big transitions. They’re learning to walk, they’re learning to use the toilet, they’re learning to give up dummies, they’re learning to move from cot to big bed. They’re learning what emotions are. It’s a huge period of emotional, physical and social development, which can be overwhelming and stressful to parents and child. Kalyra’s big meltdown in the most important temple in Thailand was a doozie. Trying to potty train Savannah on our road trip was a nightmare. She nailed number ones, but it took months to get her out of hiding under the table to do number twos sans underwear. Also, she moved from cot straight to open bed in the tent and then camper trailer. Getting her still and calm at night was a disaster – we’re still trying. You’ve got to watch toddlers so carefully. Savannah escaped from our hotel room in Melbourne – we found her sitting at the reception drinking orange juice, and fell off the top bunk after I was distracted unpacking and she snuck up the ladder. You’re possibly working around nap times still. 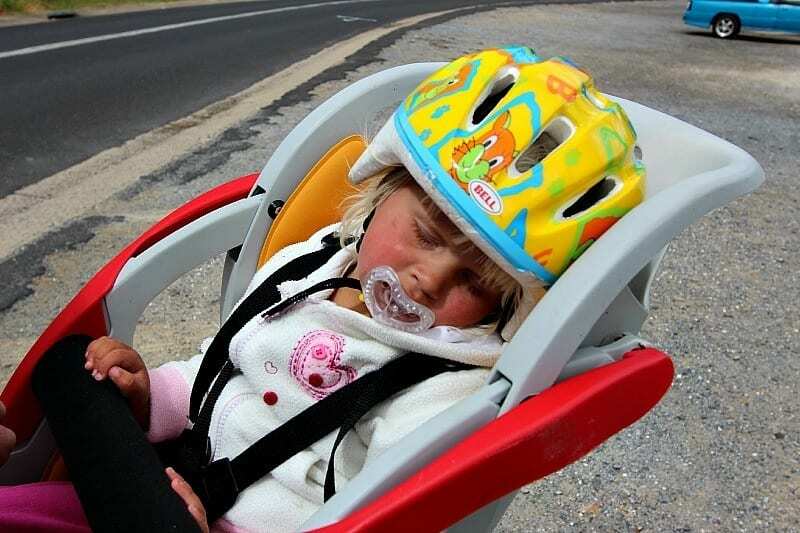 Kalyra could sleep anywhere, so she was fine to put in the pram. That did restrict our movements and activities. Savannah gave up day time naps when she was almost two, so working around this was rarely a concern. Sadly, Mum and Dad required naps from the drain. It did mean early nights were important as Savannah was well and truly done by 6pm. Managing the logistics of travel with a toddler demanding your attention is hard. There’s nothing like trying to check into your hotel or board a plane with a tantrummy toddler. They do want to be carried a lot, and can only walk short distances. This means extra visits to the chiropractor for you. Having conversations with anyone can be a challenge. Your toddler will want to pull you away, lift up your skirt, pull at your ears, cover your mouth with their hand, and interject with random “poo” and giggles. Eating out can also be unenjoyable, especially dinner. I know I’ve shared with you many horror stories of our Savannah in this post! We love to keep it real for ya. It goes to show, if you desire it enough, you can withstand any challenging toddler to make family travel fit into your lifestyle in some way. We wouldn’t have it any other way. Savannah is a delightful child with a strong, crazy personality we love. She’s a definite mover and shaker of the world and has been here before as she loves to tell me with her past lives stories. Usually following a stamp of her foot and a “you’re not the boss of me.”!! I’d love to hear your toddler travel tips and experience. Do you love it or hate it? I’m sure you’ll be fine with the public washrooms in Italy Abhishek. I definitely would not put her back into diapers. If there happened to be an accident I am sure anyone witnessing would be fine about it. People understand what it’s like to be a parent going through those stages. I’m sure she’ll be find on the plane too. It will be an exciting trip for her. We invested in a portable potty that folded nicely in the back pack. It certainly helped us out when waiting to get off the plane (that can sometimes go on forever) or in the middle of Singapour or on a tour!! Very useful Information!! 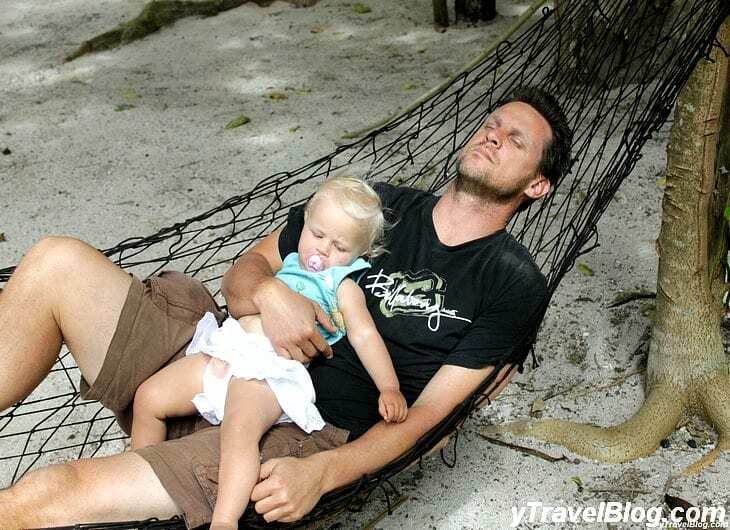 Thanks for Sharing such a great travel tips with toddlers.. Yes the plane trip is challenging and getting their own seats can be worth the price sometimes. We also learned the hard way that it’s best to fly direct to your international destination when travelling with a toddler. We went the long way to Thailand with a stopover in Kuala Lumpur. The flight was cheaper but I’m not sure worth it in the end! Very relatable! As the mama of a one year old who is a full-blown toddler, our traveling has gotten much more difficult. He loves to explore, but it can be draining. We’ve yet to take an international trip with him, but are taking advantage of local destinations (there are a lot to choose from in Southern California!) and short plane trips. Things can get a bit stressful during the actual travel, but the trip has always been worth it! Great idea Sarah to stick local for the time being. You can still have a great time and manage the drain of toddler travel better. Thank You Caz for you wonderful post out here, these tips will really help out everyone. 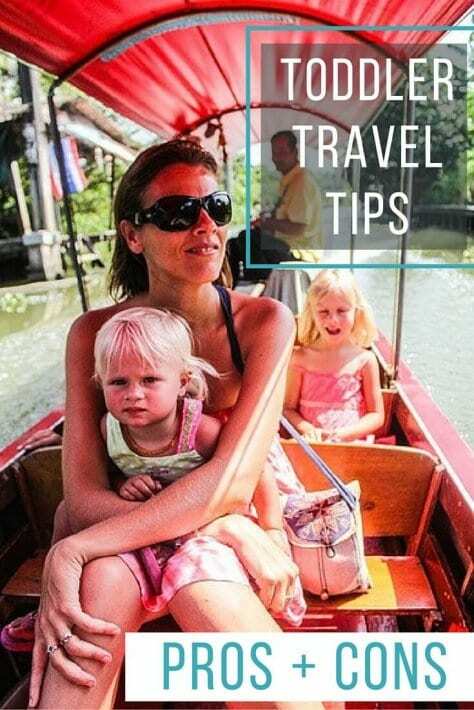 My sis will be travelling to Southeast Asia soon with her baby and will surely share this article with her hope these tips will help her. Great post! We took our 2.5 year old son and 9 month old daughter from the Perth WA to New York. The little things helped – like having a yoyo stroller that we could fold up and take in Carry on Luggage for when we arrived at JFK (albeit 27 hours later). That said, its amazing how resilient children are. I find luggage to be the biggest problem. By the time you put a tin of milk powder in the bag, some nappies, maybe swimming nappies and a few other bits and pieces, there is not much space left. Then you have the double stroller, travel bed….. We cannot fit in a normal taxi anymore. But I think you have to get the travel in while you can. Those airfares and hotel rooms get very expensive as the kids get bigger. This is such a useful and informative post for anyone thinking about traveling with young children. I’m julia, a Thailand native, who, not too long ago, left my career in corporate finance to become a world traveler. Since then, I’ve traveled to over 5 countries and have knocked some big adventures off my bucketlist. You’ve outdone yourself this time. This is probably the best, most concise step-by-step guide. Caz you’re awesome! When you write something its also great words and knowledgeable things for us. 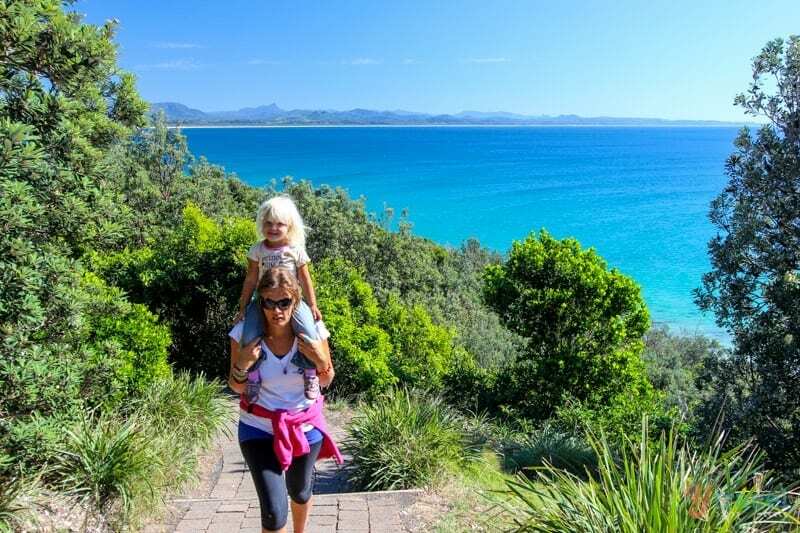 I’m providing immigration and visa services in Australia and i advice my every client if they have Toddler with him in traveling trip then they should read this great article before his journey. This is a great Article!!! I really love Elephants.These magnificent creatures are just plain and beautiful to watch. In Kerala, they take elephants very seriously and have even named them to be the state animal. I always try to pack light when we travel. We are five in the family-husband, me and our three small kids aged 8, 5 and 2. As much as possible, we only bring two luggage – one large and one medium. Sometimes, my firstborn bring her own little luggage for their essentials like milk, diapers, some toys and snacks. cute babies lovely activities lots of fun with kids. nice pictures thanks for sharing this amazing tips.